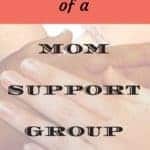 Today’s “Dear Mom” question comes from Erica Gillioun from the MTO (Mom Time Out) group (our closed Facebook support group helping moms deal with anger and frustration). 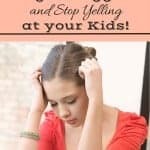 How can you let your kids know you are serious without sounding angry/mean/crazy! My kids seem to ignore my request until I get up set or just use a “mad” voice then they whine from being startled from the change. When raising my kids, I always took a serious tone when I gave them a directive and I expected obedience. If they didn’t respond, I counted to 3 and if they still didn’t, they were disciplined. They knew if I was counting, there was no way out! Following through is just as important as counting. We can yell all day long, but if we don’t follow through (which means stopping whatever we’re doing a zillion times a day), it doesn’t matter what tone of voice we use. My kids are grown now, but in the rearing years, I regularly received compliments on their good behavior. Yes, we had our struggles during different phases at home and school (ahem, strong-willed teenage years), but even through the struggles, God won in the end. Here’s how. >>Use consistency – if you say no for one thing, always say no for that thing, don’t be wishy-washy because that confuses kids and makes them think you don’t really mean no. >>Follow through – this goes hand in hand with consistency. It can be hard and tiring, but it does work! Get in there and do the work! 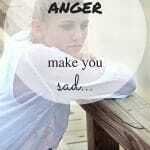 >>Don’t laugh or smile, develop a certain “look”, or take a deep breath. They’ll pick up on the cue! >>Speak quietly or lower your voice and maintain eye contact. Get their attention and let them know they have yours and you mean business. 3.) Follow through – don’t say you’re going to discipline and then do nothing. BIG mistake. Also a waste of breath. 5.) Don’t yell – you can accomplish what is needed in a serious tone – reserve a sharper tone when immediate obedience is mandatory (such as “STOP! Don’t cross the road, there’s a car coming!!!”). If you do these five things on a consistent basis, I promise you will cultivate obedience in your children. Don’t believe me? Give it a try! What would you add to this list? 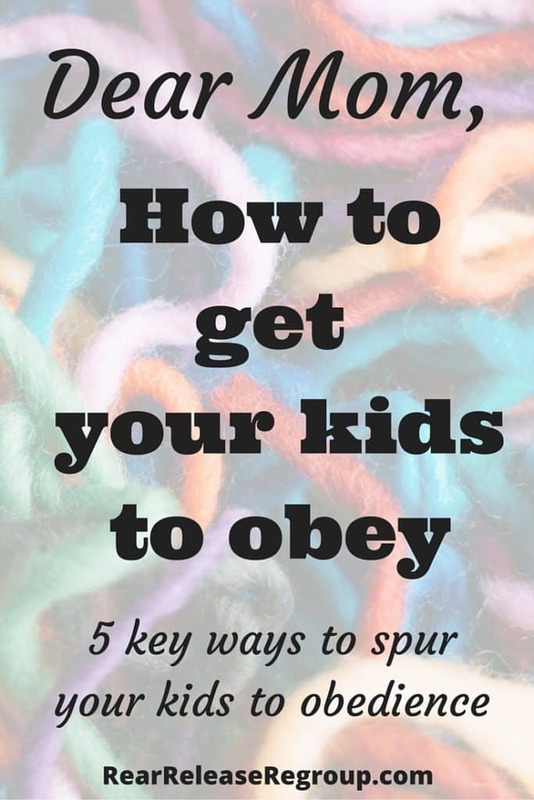 Have you found success in rearing your children to obedience? Do you have a “Dear Mom” question you would like addressed? This question…I had a parent this week ask if her child does this and that in class. My response, was no, he is very well behaved. She said, “oh because he never listens at home, never does what I ask of him.” My thoughts (quietly to myself), you’ve TRAINED him that way! Harsh, I know. But it’s the truth! Great answer to this question Ruthie. Hope you are doing well. Loving the pictures of Harper and Sawyer this week. Thank you for covering my question- my battle plan is a 7 day boot camp for my kiddos and myself! 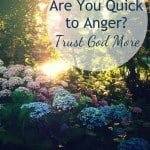 I will get back to a peaceful flow in my home with the guidance of God and a great support group! Again thank you for caring enough to reach out to Mothers you dont know and helping us overcome in such hard parts of our life! You are awesome Ruthie! Great tips,I need to get working on these some more. So true, Abi! God is working behind the scenes and yes – we must not be weary in well-doing!! Good point. I had to come to grips with it whilst in the midst of rearing a strong-willed teenager. That lasted years because she developed early! Don’t give up! Thanks, Abi!